NEW BRITAIN - The Innovation girls volleyball team wanted to come out with a win in its fourth annual pink game. And as the Ravens have done for the majority of this season, that’s exactly what they did. Innovation swept rival MLC in straight sets Tuesday night 25-8, 25-13 and 25-16 for the 3-0 victory and its seventh straight win. The program’s longest winning streak was eight set back in 2015. The Ravens were never challenged throughout the match. Bailee Nardi and Imani Rosado led the way for Innovation. Nardi finished the night with six kills, while Roasado tallied 10 aces and seven assists. The Ravens are now 9-1 on the season and currently sit in a tie for second place in the Class S rankings. Their one defeat was a 3-2 loss to Cheney Tech back on Sept. 14. The Ravens will next play Putnam (5-5) at home on Friday afternoon at 5 p.m. for their 10th win of the season. Innovation 5, Capital Prep 0: The Ravens are once again heading back to the state tournament. Victoria Piechota and Kelsey Walicki each scored twice to help Innovation improve its record to 7-1 on the season. Mia Solivan scored the other goal for the Ravens just 18 seconds into the second half. It was a match Innovation controlled from the beginning. It was already up 2-0 heading into halftime and scored another three after with Solivan kicking things off. Goalkeeper Lianna Giles saved the only shot that came her way. Plainville 3, Windsor 0: Krystyna Miller couldn’t miss the back of the net. The Blue Devils’ freshman dominated the first half and scored a hat trick before halftime to help Plainville pick up its fourth win of the season. Cortney Ouellette assisted on two of those goals, while goalkeeper Maddie Rund saved four shots to preserve the shutout. 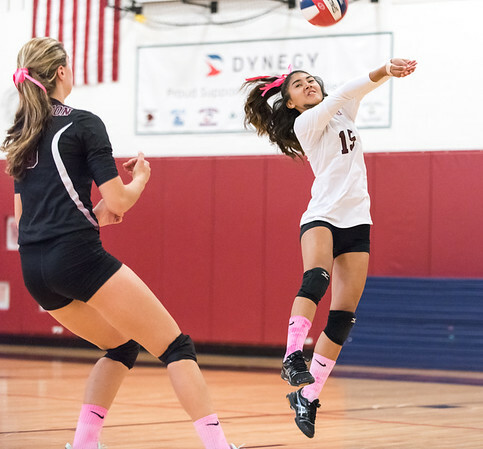 Plainville’s next match will be against Hall for its pink game to support breast cancer awareness. The game will be at 6 p.m.
Bristol Eastern 93, Plainville 90: It was a close meet from start to finish. Unfortunately for the Blue Devils, they came up just short. Lydia Weinberg was a double winner in the 50 freestyle and the 100 butterfly, while Bella Bantz captured the 100 breaststroke to highlight some of Plainville’s top individual performances. The 200 free relay team of Weinberg, Alyssa Macomber, Isabella Samperi and Phoebe Gediman also came out with a win. Other Blue Devils swimming well were Ashleigh Bantz and Gediman. Farmington 100, Berlin 86: The Redcoats dropped their first meet of the season against a tough Indians squad. Kelly Chmielewski finished as a double winner for the Redcoats, taking both the 200 IM and the 100 backstroke. She was also part of a 200 free relay team that included Nadia Humen, Maddie Palmese and Gabby Pattavina that came out with a win. But diver Alina Whiteside put up perhaps the best individual performance for Berlin. The junior won the diving portion of the meet with a score of 233.15 and set a new school record in the process. The Redcoats are now 3-1. Posted in New Britain Herald, Berlin, General Sports, Innovation, Plainville on Tuesday, 3 October 2017 21:50. Updated: Tuesday, 3 October 2017 21:53.